Well there it is. My 24/7 shade line, as illustrated by 3 inches of snow on a 60* day. Are more words really needed to illustrate how shady it is? Straight as a ruler down my fence line, that is where I would stick the proverbial it, if told to stick it where the sun don’t shine. In this case I have decided that “it” is a shade garden. 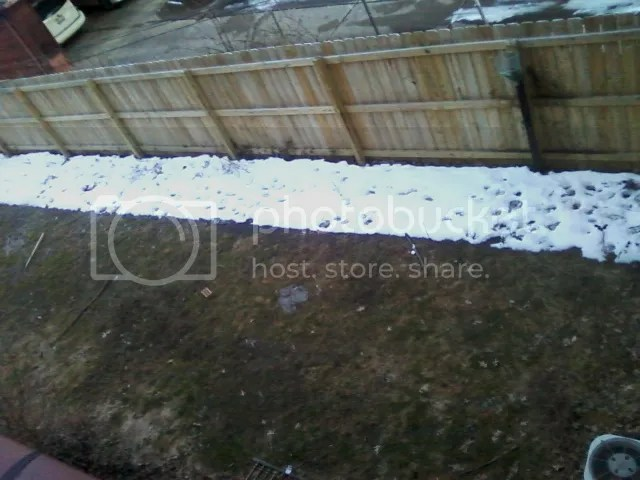 I have a compost pile in this shade line that I am about to move (if it ever thaws!?) and it will be a nutrient-rich locale. Vegetables don’t grow well there, you see. Too much shade. So of course a shade garden is all there is to be done. And on a homestead, all deliberate plantings should be at least a little bit useful, right? Wave goodbye to all those plants if bees disappear. Further more, looking at this list we see many major sources of FEED for LIVESTOCK on the list, including almost all clovers, vetch, alfalfa, safflower, sunflower, cow peas, turnips and beets. Not only are you waving goodbye to your favorite things like almost every fruit and nut, your chocolate supply (cocoa and oil palms), canola oil (rapeseed) and coconut oil, and your morning coffee… But you are also saying goodbye to the cotton and flax that produces the very clothing you wear. So not only do bees effect our “vegetable” supply, they also effect our meat, our clothing, our couches, our curtains, our cooking oils, our luxuries, our very way of getting up every day. Did you have an ordinary morning today? You have a bee to thank for it. So a bee garden it is. Since it’s not feeding me it has to be low maintenance (perennials please!) and the plants need to stick it out through cold and shade. But, of course, flowers don’t really “thrive” in the shade very much so one has to be choosy. I’ve made a few choices of my own! These shrub-like flowers are partial to full shade and very bee-friendly! They produce lots and lots of beautiful cones of flowers, over winter in cold as low zone 4 and are nice and fluffy! Getting up to 2′, this is a really robust plant that SHOULD do well in my area. I found some started plants at Costco of all places and bought them. They’re now sitting sadly in their bags for their first day of fresh air, sunshine and a bit of water. I have high hopes for these plants as one of the higher rated plants for bees and butterflies! Sad looking, huh? I sure hope they’ll perk up! These pretty flowers are hardy geraniums. The come in several different colors but a very nice lady said she’d send me some of THESE ones as a gift! These are lower shrubby flowers that bloom profusely. They make a nice ground cover and are known for choking out weeds. They produce a LOT of flowers and can bloom from early spring right through the fall. If these particular ones fail, I will find some more suited to my climate. The huge number of dispersed blooms should make the bees pretty happy! Hostas are a cold-hardy shade tolerant plant that produces flower high up, above all the rest. These can only be grown behind my fence as deer and rabbits LOVE them! These are human-edible and rabbit edible plants and as such as very useful in a shade garden, besides providing some great pollen and flowers especially suited to attracting native bees! My mother grows tons of these… And if I can’t get some of hers they are very inexpensive at the local garden centers! The common bluebell is a cold (zone 5-7) and shade hardy bulb plant that is a nectar and pollen powerhouse. Since they don’t grow well in heavy soils, a bit of sandy garden soil and wood chips will be worked into the bed as I plant it, further down in the clay. This worked surprisingly will in my double dug beds and the clay in those is still loose and easy to move. 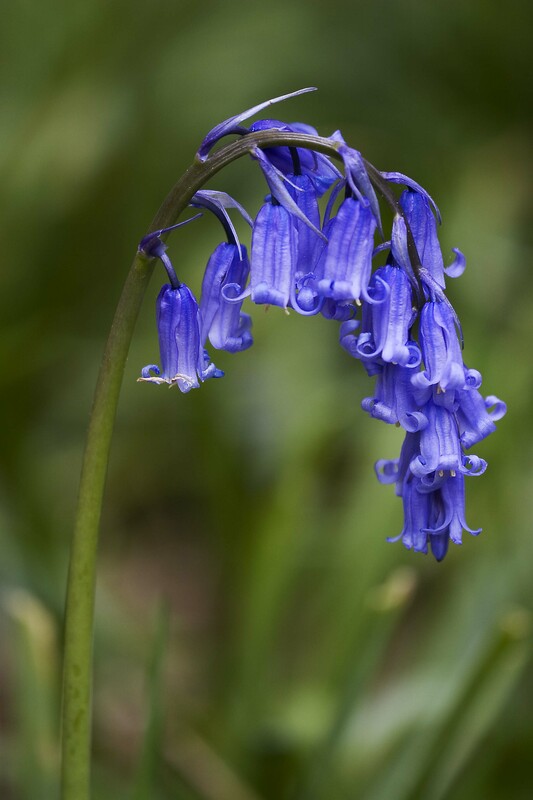 Bluebells have some minor medicinal properties, but are mostly there for the bees! Their beautiful flowers attract especially Bumblebees, a native species of bee. And lastly I’ll be trying to throw in some Dandelions! These plants DO grow in the shade, although rarely blooming. They are one of my favorite plants and the huge leaves the shade dandelions produce makes them worth considering for a shade garden. If some of them bloom, even better as dandelions are well renowned for their huge amount of pollen that can dye your nose orange with one little sniff! They have deep taproots that can help break up the soil in the area. If I can get them to grow we’ll also see about putting in some wild carrots! I will also be trying to grow some henbit deadnettle there, a low to the ground min-family weed I have found a few times on my property. Being edible, chicken edible, rabbit edible and one of the first flowers of spring… It seems like the right call to grow! There are many other good shade flowers even for bees, such as Foxglove, or my favorite, Lilly of the Valley. However, these plants are extremely toxic, and I have two dogs and the occasional roaming chickens or rabbit, having those plants actively on my property is a liability to the homestead. I may try to plant some and see them grow OUTSIDE of my fence line. So there’s the dirt on my bee garden I will be implementing as soon as I get that darn compost moved! I hope you find some plants to benefit bees and your homestead that you, too, can shove where the sun don’t shine! Homesteading can be such a slow process sometimes. Last year I was just getting my first litters of rabbits, just starting to really learn. This year, though the rabbits are producing well, winter feels like a waiting game and our recent burst of temps in the 40s hasn’t helped with that. By the end of the week we will be in to 20s with snow again, but all I can do is dream of spring! This year I have once again placed an order for heirloom seeds and I will be ordering a truck load of dirt to expand the gardens. In these moments of quiet without much going on I have time to reflect on the changes I need to make. Tomatoes grown from store bought seedlings and Red Russian Kale did extremely well. We got lots of tomatoes for a while and the Kale is STILL growing! The random modern jalepeno plant I picked up produced quite well! Strawberries did very well if somewhat infrequent. They also spread significantly and we expect they will come back very strong in the spring. Our Basil and mint thrived, flowered, seeded, and then flowered and seeded again! Herbs do well here. The grapes were delicious, but didn’t give as many as we would have liked. We will try cleaning up the area around them to reduce diseases. Everything that came out of our garden was delicious! I got the cold weather crops into the ground too slowly. Most of them didn’t grow at all over the spring and by the time they really took hold it was broiling hot out and the seedlings died. I started some of my plants indoors and they were tropical plants. The result was they didn’t get enough heat to take off as we keep our house at a cool 62 most of the time. 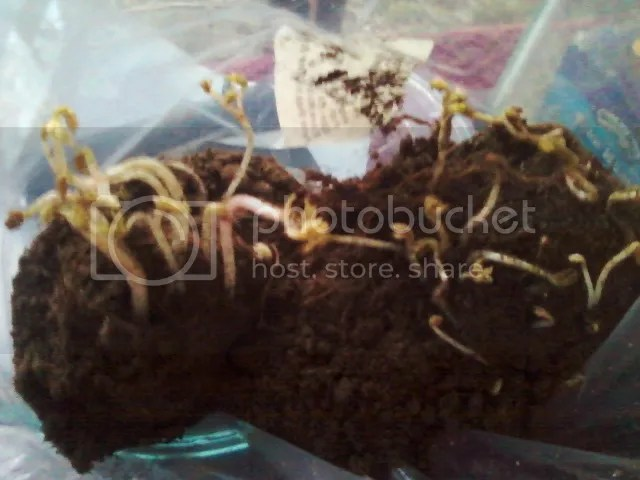 The soil, filled with sand to make it “loose” in my root bed compacted severely. After spending all year in the ground my carrots, beets and onions gave me plenty of tops and only a few inches of roots and were constantly trying to force their way up out of the garden beds! The corn grew surprisingly well for months, but the pot it was in was too small for three budding corn plants. By the time they could be transplanted they were so crowded they never really took hold outside. Then they got dug up by my dog. The arugula we got sucked. The flavor was far too strong and it bolted very easy. Not even the rabbits wanted it anymore! I didn’t trim most of the plants back properly, giving them real time to grow before trying to fruit again and again. I got some veggies in abundance and did not have a way to process and store them for later use and so they simply went to the animals. Because I did not turn my compost pile, it needs extra time to sit post stirring before being used a lot. My zucchini, pumpkins and cucumbers all had strange issues I have yet to identify the cause of, but its not just me. My sisters cucumbers grew equally strangely. -The cucumbers grew pale, with the top half growing thick and round and the bottom half staying small and tightly curled. Then the plant eventually just started dying from the roots up, leaves and stems drying up and turning pale. -The zucchini grew quite well, giving us several large fruits before suddenly the fruits stopped growing properly. The plant itself seemed healthy but the fruits would grow to about 6 inches before the ends of the fruits would start rotting away. Late in the season the plant also developed powdery mildew. -The pumpkin grew a single vine which turned pale, fast. That vine then produced one little blossom and died. -My whole lawn is still a bog, even after the ammendments last year. So this year there are some things I will be doing again to bring my lawn and garden around properly! The gardens and lawn will be amended heavilly early in the year. Probably when our next big week long break in the weather is scheduled. This is our biggest change! I will be bringing in a huge batch of wood chips again… And double digging them into my planned garden sites into the existing, clay heavy soil. They will offer some mass, absorbtion and drainage to the back yard. They will also be scattered to fill in low areas, wet areas, and in the chicken pen to add to their deep litter which was so effective over the past year. The number one thing people are shocked about with my chickens is that they Do Not Smell. That is because of their deep litter of wood chips! On top of the double dug soil and wood chips I will spread my current garden soil out. The leaf humus was combined with the feces of many meat chickens over the months and has turned into a rich, thick, black soil that is high in nitrogen. Seeds from other plants, roots from weeds, spilt scratch grain and general garden litter is prevelant in this soil now and I no longer want it on top where such things can take hold and spread. Instead this will add to the general nutrient level of the soil and will help to raise the general height of the garden beds. On top of that will go a thick layer of this past years compost, stirred and rotted all winter to make sure it has broken down properly! On the topmost layer of the garden beds will go a mixture of leaf humus, topsoil and sand. The topsoil/sand mix I find to be too thick and compacts too easilly, while the opposite is true of leaf humus. A mixture of the two should be ideal for delicate seedlings, retaining moisture and draining properly. The mix will be mostly leaf humus still, but a bit of topsoil and sand will give it some real grip and support for seedlings! Individual areas of the garden bed will be lightly amended for the individual plants. Egg shells will be ground down for the spinach crop, magnesium and other required trace minerals added to the squash area, etc. Since all the soil is being tilled together and altered heavilly, there will be no significant crop rotation this year. We will be positioning our plants more appropriately for our environment. Last year we accidentally planted our tomatoes in the shade, our delicate greens in the sun, and everything else was a bit scattered. Now that we know where the shade falls we will make our placements in a more effective manner! We will also be doing something very new to us. We will be using “cover crops” and nurse crops. We ordered a large amount of radishes and red clover to plant with other plants in order to give them support and extra nutrients as they grow. We will also be putting in at least one large flower bed in our front and side lawns and using a clover cover crop there as well. We will have medicinal, edible and bee attracting plants such as Echanacha and sunflowers. It is my hope to build a top bar hive (or two?) And place them on my garage roof in an attempt to attract and capture swarms of wild, local honey bees. The last major change is how we grow our seedlings and handle our early season crops. They will still grow in toilet paper roll seed starters, but they will be placed in our terrarium with our snake. This is a glass box, surrounded on one side with aluminium, and always has a heat lamp shining into it! This should give our plants the heat and light to grow, grow, GROW into huge seedlings, strong enough to withstand the hardening off and transplant to outdoors. After that, when they finally move to their garden beds, they will have small hoop houses over them for the first month before the temperatures finally rise up enough to support the crops without them. There will also be a few thing we did right that we will be doing again! We will be getting a few more strawberry plants and expanding the garden bed there. We would like strawberries to become a major cover crop for our lawn! We will be planting a LOT more kale this year. We will be putting down woodchips anywhere we can. We will continue to harvest local, wild plants… And next year we will make extra sure to have enough jars and freezer space to store the harvest! What are your garden plans for the year? Now is the time to plan! I hope we all get bountiful harvests next year!